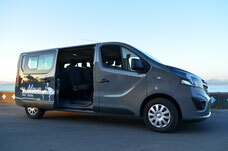 Easy Move Transfer and Tours - Rent car with driver in Sant'Antioco and in South West Sardinia. Rent car with driver in the Island of Sant'Antioco. Transfer service from the international airport of Cagliari to Sant'Antioco. Transfer service from Sant'Antioco to the international airport of Cagliari. Transfer service from the railways station of Carbonia-Serbariu to Sant'Antioco. Transfer service from Sant'Antioco to the railways station of Carbonia-Serbariu.